All orders ship from California within 2-10 business days via USPS First-Class Mail with tracking, unless otherwise noted. We do our best to ensure your package will arrive safely and in a timely manner. Please contact us if you would like to request insurance or express shipping. 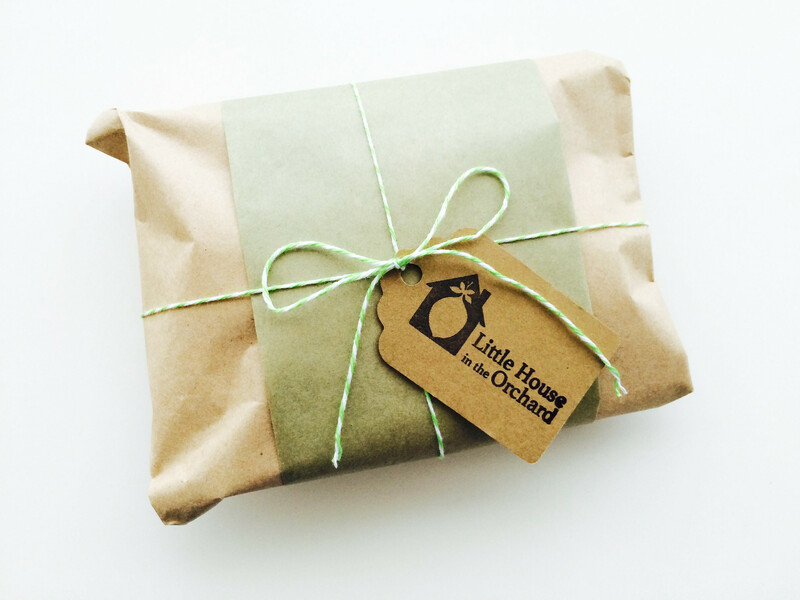 Little House in the Orchard is not responsible for lost or stolen packages. If you encounter a shipping issue, immediately contact USPS with your tracking # for assistance. Please note: California shipments pay 7.5% sales tax at time of checkout. US shipments sent outside California pay no sales tax. International packages will be shipped First Class International Mail which may take up to 2-6 weeks to receive. Little House in the Orchard is not responsible for additional custom fees and/or duties. Standard tracking is not available for international shipments, but a customs form # will be provided once your order ships. All sales are final unless there is a mistake on our end regarding size, color or product. Due to the handmade nature of Little House in the Orchard goods, there may be slight differences in color, pattern and consistency. Such inconsistencies are not a valid reason for return, rather they are what make our products unique. Products must be returned in original condition, unwashed and unused, with tags attached. We will issue a refund or exchange within 5 business days of returned item.